Welcome to my lil shop. Your support helps me keep this website online! I get a little commission any time you buy anything through my Amazon store link. Take a peek at my cookbook collection, kitchenware, gadgets, and appliances that I use at home. I have fabric, wallpaper and gift wrap by the yard on Spoonflower to celebrate the release of my cookbook Showdown. Showdown BBQ pattern designed by the wonderful and talented Klinger Creative. Buy individual issues or subscription to Put A Egg On It. Put A Egg On It is an irreverent digest-sized art and literary magazine printed on green paper out of New York City. 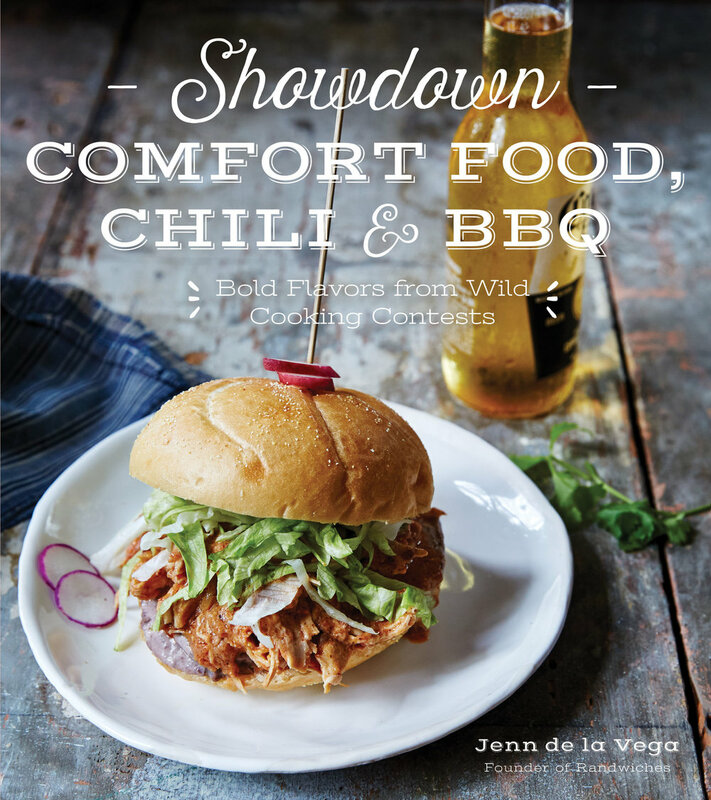 Get my first-ever cookbook Showdown: Comfort Food, Chili & BBQ from Amazon. Make eccentric, yet mouth-watering bbq, including the specialty side dishes, sauces and pickles that go along with them.